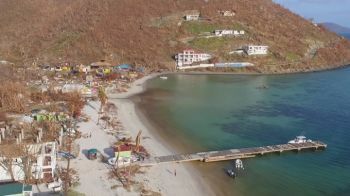 GREAT HARBOUR, Jost van Dyke, VI- News reaching our newsroom is that relief workers on Jost van Dyke (JvD) are being told by Department of Immigration officers from the main island of Tortola that they have to cease all volunteer work because they do not have the proper documentation. 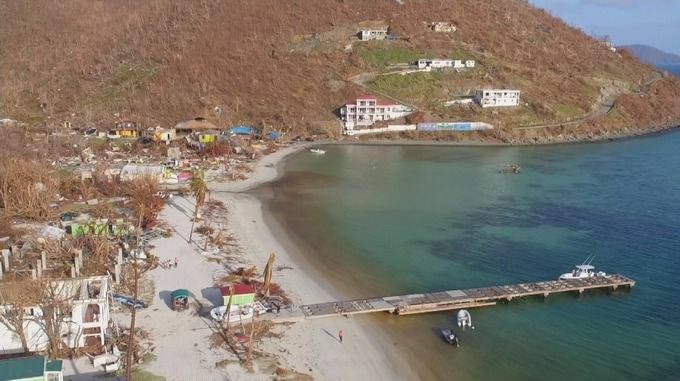 According to a Jost van Dyke resident and businessman, who wished to remain anonymous, three surveillance officers from the Department of Immigration, along with the Marine police, are sweeping the beaches and telling business owners that their relief workers have to stop working immediately. “On any given day, there can be anywhere from 15 to 30 relief workers that are coming over from St Thomas, St John or directly from the United States to stay for a week. They identify themselves as relief workers when they come into the Jost van Dyke Immigration and Customs and they are allowed to do their thing because obviously the people at Customs and Immigration on Jost van Dyke nine days out of ten are from Jost van Dyke and they are benefitting [from the relief worketrs] too,” said the Jost van Dyke resident. The resident disclosed that the Immigration Department was looking at everyone’s identification card and asking about their status, while adding that they took information from him and his worker and told the two relief workers to cease working. “The bottom line is that everybody has to go to Labour [Department] first. Nonetheless, I did not see anybody picked up from them but they are stopping people from working. They are telling the business owners that they are not allowed and this is a serious offence because you cannot work paid or unpaid even if you are doing something for no money without proper documentation,” according to the business owner. 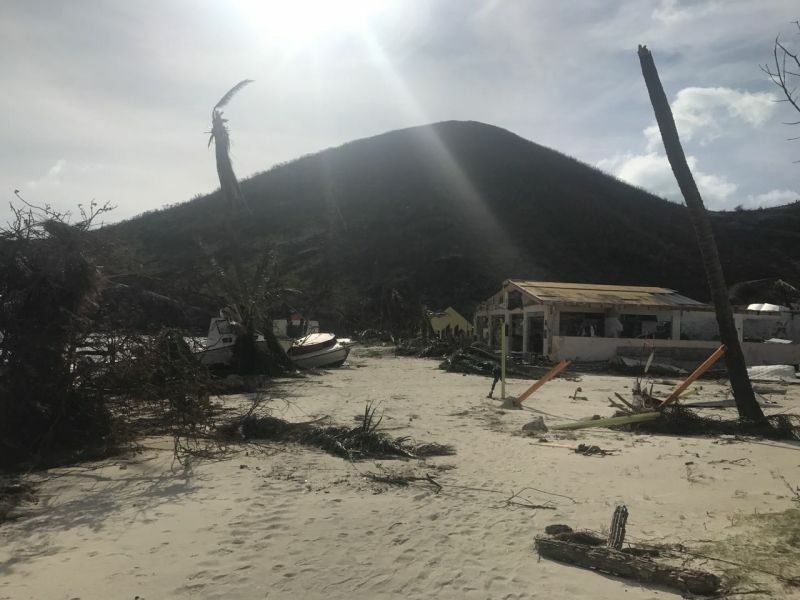 The business owner told our newsroom that he lost everything during the hurricane of September 2017 and finds the whole situation “ridiculous”, while noting that the government has neglected the outer islands. "There is not one working number for the Labour Department, there is not one working number to call anybody and we are in Jost van Dyke. Why can’t a Labour Officer come with them while they are doing this and register workers? It’s literally happening every single day for five months. People come to Jost van Dyke to help other people and without that we can’t get rebuilt and we wouldn’t have anything because the government did not bring over a bottle of water for us, nothing... It’s not fair and for me I lost everything I own and without people trying to help us – we can’t hire construction crews like the rich people-,” said the resident. In fact, he said it is almost impossible to get contractors from the main island and other islands to come to Jost van Dyke to help persons rebuild their homes and other properties. "I can't even find one carpenter to come, not one, and I have been here 29 years so I know a lot of people." The Jost van Dyke resident further mentioned that Kenny Chesney, a famous American country singer and founder of Love for Love City Foundation in St John, US Virgin Islands, donated several thousands of dollars in building materials for the people of Jost van Dyke and St John over the last five months and that the Love for Love City Foundation also rebuilt the clinic and church on the sister island. "He has funelled several hundred thousand dollars into rebuilding on Jost van Dyke because we can't even get a single construction worker on the islands. There is no one to help us rebuild," the resident stated, in making his case for the need for relief workers to be allowed to come to the island to assist without harassment from authorities, who have done little to assist the people in their greatest time of need. Meanwhile, our newsroom reached out to Commissioner of the Labour Department Mrs Janice I.F. 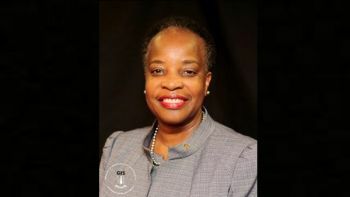 Rymer, Acting Chief Immigration Officer Geraldine Ritter-Freeman and Diane L. Drayton, the Information Officer of the Virgin Islands Police Force (RVIPF), but they did not respond to our queries up to time of publication. Mrs Rymer had announced in a Government Information Service (GIS) press release on September 29, 2017 that officers from the department would be stationed at ports of entry to assist in the effort to facilitate entry of skilled workers. The ports of entry listed in the press release were Terrance B. Lettsome International Airport, West End Jetty, Tortola Pier Park, and St Thomas Bay Jetty in Virgin Gorda. 2. Employer/Organisation Name and Contact No. Extensions to stay will be granted on a case-by-case basis. There was no announcement stating that the policy had since changed. They need to do things the right way.. just like everybody else. Just like all the other relief workers. This the bull i am facing right now with both immigration a d labour the island aint a quater of the way up. We are goinh to suffer if the ministers do not step in. This is ridiculious. Just waiting for the back benchers to take over.. Give us some true caring and Godly people.. Terrible if ( God forbid ) we have another natural disaster who would want to come and help if they are treated like criminals or have to wait for hours in line to get permission to HELP us? That's what black on black is. Those with power eat up the valnurables.. We have to be prepared for other didasters. Because God dont like ugly.. This is bureaucracy at its fullest. The sh't of a system would drop down anybody. I do agree that if there are laws governing any situation, they must be adhered to. But come on man, temper justice with some sort of mercy. They expect people to pay boat and taxi fare from JVD every day to go to immigration and Labour and can't get through. The same immigration officers could have been at their base helping people to get thru. In my entire life I have NEVER heard anything more ignorant and senseless . Who do you think is here helping to rebuild ? How many local people are out there volunteering to help and leave their families for no pay ? We are now an embarassment to the civilized world and you can be sure that when the next disaster occurs the world will just say F you to our backward and ignorant mentality . Look around you . Do you think we are capable of cleaning and rebuilding this mess by ourselves ? We just limin in the bars like nobodys business . This is a NATIONAL DISGRACE . Beyond embarassed to tell my overseas friends . Pathetic . I agree. If this idiocy continues then JVD should secede from the BVI and form their own compassionate government or hook up with the USVI. Why waste the police resources chasing VOLUNTEERS on JVD when recent murders on Tortola remain unsolved. Where all the local jobless people that expats have displaced? Oh wait so that was all BS and BVI actually does not have unemployed locals to fill the void? Its all a lie? Wow! Irma really lift up the BVI skirt and showing the world all. They all work for the government, the civil service being the third pillar of the economy. Hope all the persons who are posting disliks are out there everyday volunteering their time and money . Just sayin. So, basically, what Labour is saying is: Belongers need to fix their storm mess up. We too proud and too good to need any help from the outside even if it is free. Why is it that people here seem to think that when people come to volunteer they won't want to leave? Volunteering does not pay the rent or put food on the table. These people are giving the BVIs their time (valued at $ 120-$160 per day in construction these days). The BVIs are nice but its leadership is not exactly inspiring and does not offer much of a vision to create community, and honestly, many here are intolerant and bigoted. Plus, who wants to live in a place where crime has become so rampant and nothing is done about it even though the community knows the perpetrators? Many of the "relief workers" are regular tourists to JVD and are coming to help their "Island Family" while enjoying the beauty of the island as well. So this means a tourist can't come for a week and lift a hand to help on JVD?!?! This country will be heading to a recession soon and it will be the governments fault. Time for real officials with a vision for the BVI! There seems to be a culture by immigration personnel that tries to keep outsiders from coming to the island regardless whether it is for vacations or to do charity work. News for the government - you are not protecting BVI you are reducing the chances for an economic revival. Right now government (Immigration & Customs) now enjoys increased revenue because the jetty in front of the administration building is now repaired at no cost to the government; thanks to these same relief workers whom they are stopping from working. Know your facts. How is Labour involved in this scenario?? Labour deals with skilled workers not relief workers. People like to talk without knowing the facts.